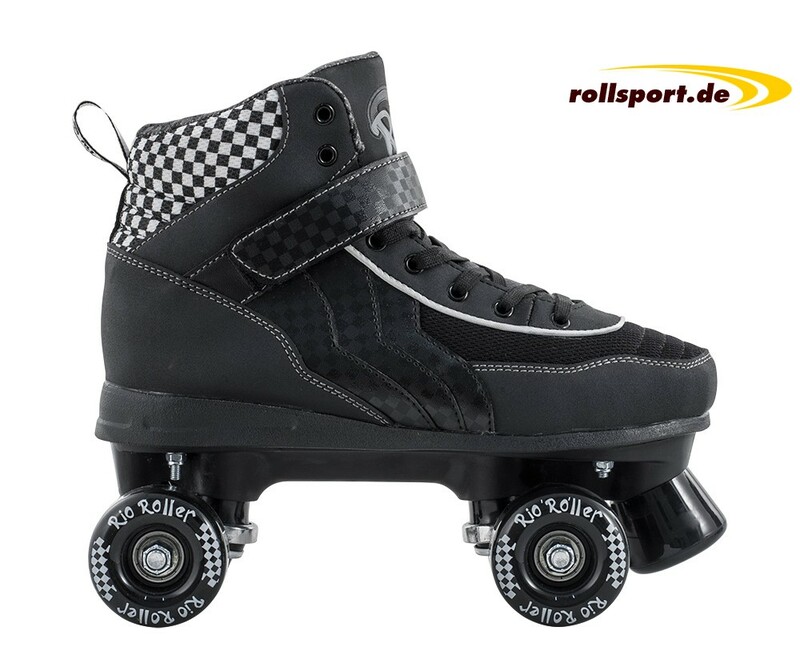 Rio Roller Mayhem men roller skates - The Quad Retro Roller Skates are equipped with 4 x 62 mm x 35mm / 82A wheels and Abec 7 ball bearings. 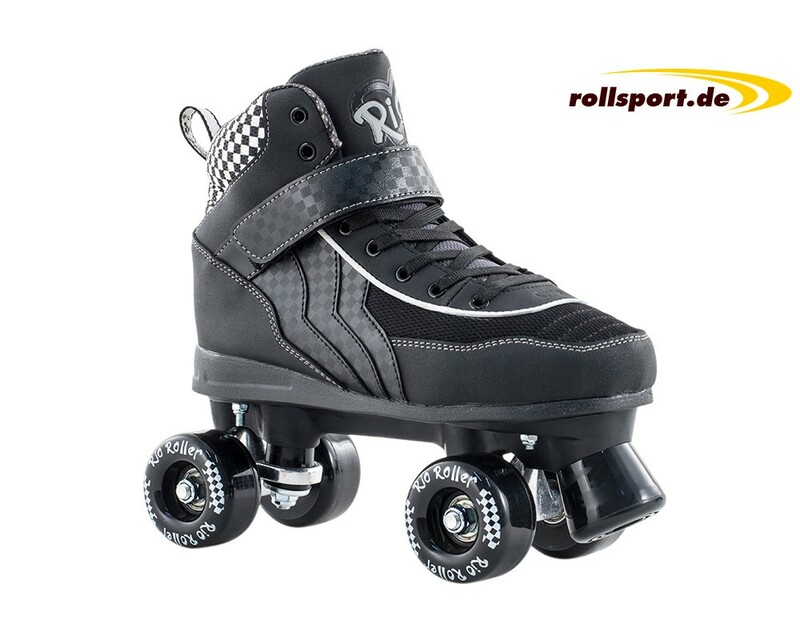 These men's roller skates from Rio Roller in black, are equipped with 4x 62mm / 35mm wheels with a wheel hardness of 82a and Abec 7 ball bearings. The Mayhem Roller skate has both, a very comfortable footbed, an anatomically shaped insole, as well as a perfect lateral support. 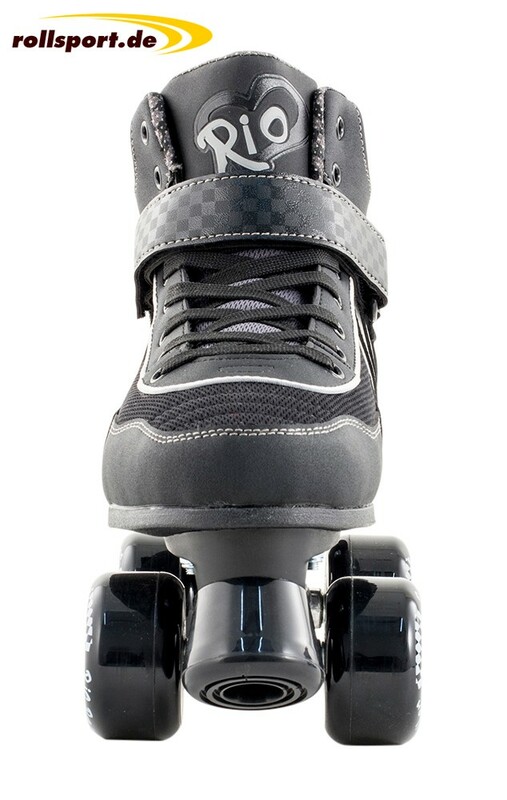 Traditional laces, as well as a Velcro strap are forming the lacing system of the retro men's skates. PU-Guss brake pad, easily replaceable.